Click here to download a copy for your family. 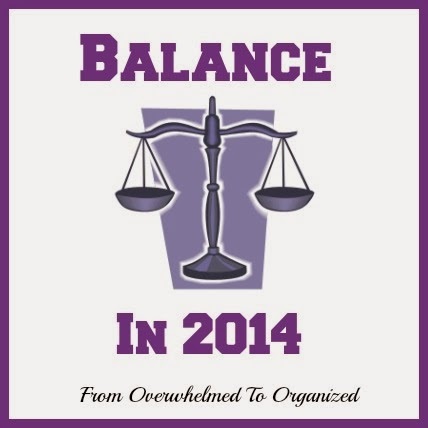 Earlier this month I shared my word for the year: balance. I've been working towards this through the month of January. The biggest change this year for me is working on establishing new habits, one at a time, instead of a whole bunch at once. So far it's going well. You get the idea. I'm finding it less overwhelming to do a bit here and there instead of having to clean the whole kitchen at the end of the day when I'm tired. I also wanted to try to read a book every month, by reading a bit every day. I should have followed my own advice and just started one goal at a time, because I didn't get very far with my reading goal. But I will work on that one in February, before starting anything else! My kids have jumped on the one word bandwagon too. My son is going to work on being more generous this year, and my daughter is going to work on being more peaceful. They picked their own words... I had nothing to do with it :) And as a family we're all going to focus on being more grateful (that was hubby's suggestion and we all decided to extend it to the whole family). At our monthly family meetings, we'll reflect on the previous month, set new goals to help us live out our "words", and celebrate the journey towards becoming better versions of ourselves this year. If you haven't set family goals in the past, this month is a brand new opportunity to set some! Have a family meeting and discuss what you'd like to accomplish this month and write down your ideas on this printable. 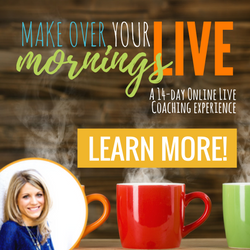 It's a great way to help you live more intentionally! If you've missed any posts last month, you can read all the January posts here. 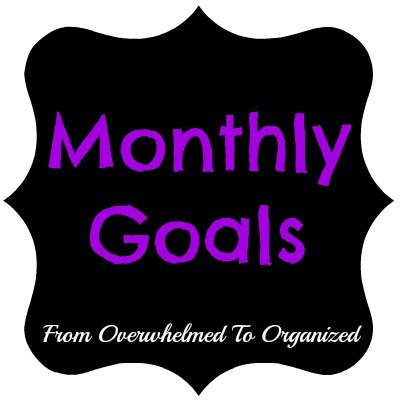 Last month, I set 3 goals for the blog. And I'm happy once again to say I achieved all 3 of them! What's Coming Up In February On The Blog? I'll be showing you lots of my kitchen in February and I'll also continue sharing decluttering tips to keep momentum going in the challenge. 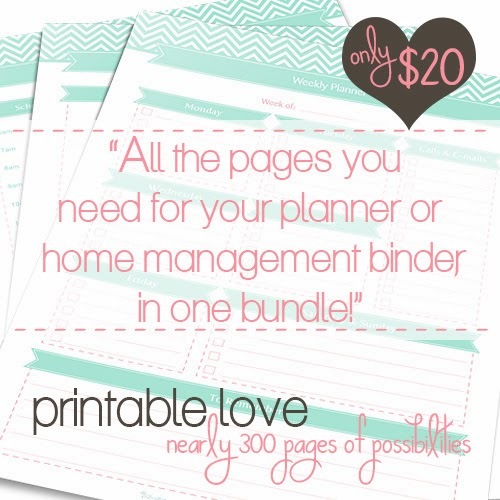 I'm also really excited to be promoting an upcoming sale on a bundle of amazing organizing printables! I can't tell you all the details until Friday, when the sale starts, but I've seen the bundle and it's incredible! 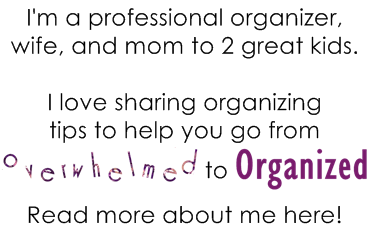 Something for everyone, to organize any area of your life! 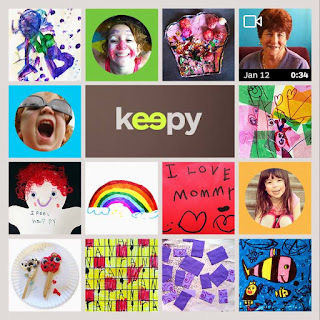 So, what are your family, personal, or blog goals for February? 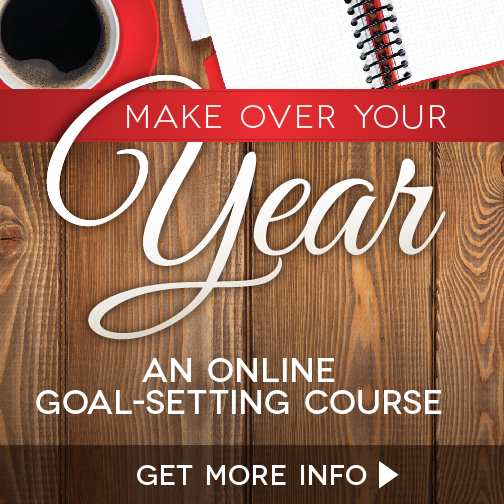 How are your 2014 goals coming along? Great post! 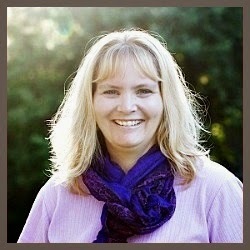 Love that you stated "one goal at a time". If you would like support on your "read a book each month by reading a little each day" goal - I'd love to have you as a member of my AWE Challenge. It's a 30 day challenge were each participant focuses on creating change in one area of their lives. AWEChallenge.com if interested or for more info.